The Fourstroke is one of the very few full-suspension mountain bikes to win the XCO World Championships. That alone sets it apart as an outstanding race bike. The combination of our Big Wheel Concept (BWC) geometry and Advanced Pivot System (APS) suspension design makes for an incredibly fast and capable XC or Marathon race bike. If there is one category the Fourstroke belongs to, it is quite simply racing. The Fourstroke is our most pedal-focused APS platform - with superior small-bump performance and maximum efficiency for amazing traction and aggressive accelerations. 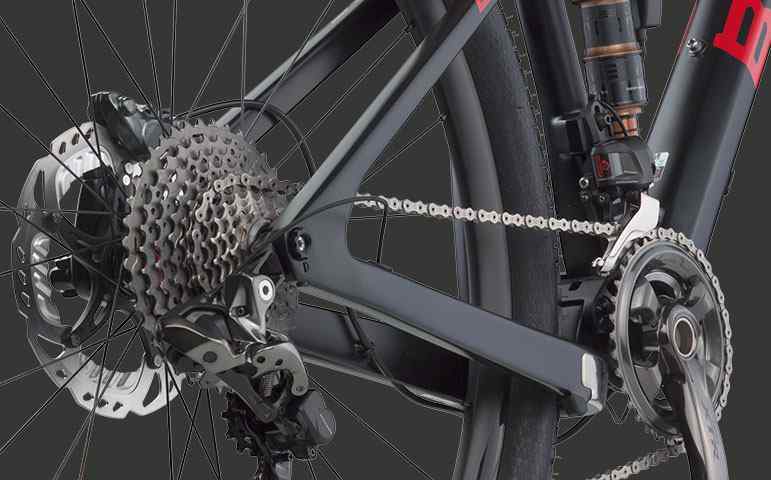 The Fourstroke 01’s full-carbon dropouts are designed for a 12x142mm through-axle system and are assembled with specific Shimano or Sram direct-mount derailleur hangers depending on the groupset. 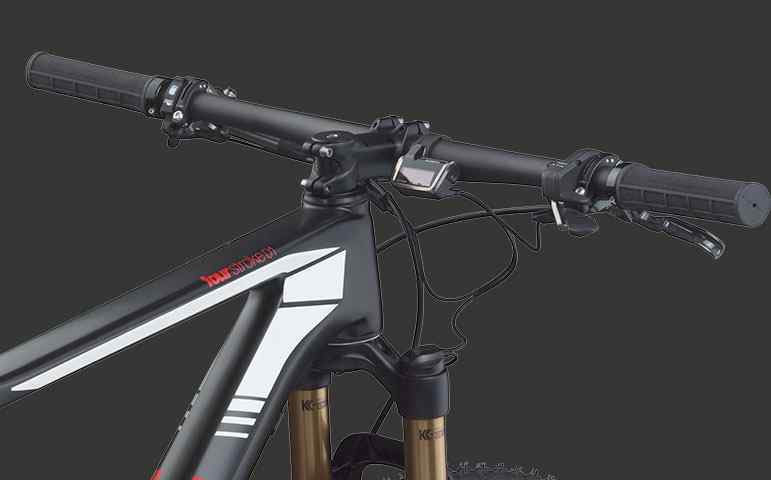 The 1-½” headtube compliments the BWC recipe of long reach, a short stem and wide handlebars for great front-end handling. The demands of cross country mountain bike racing require a maneuverable machine that inspires confidence when you scream down the final descent into a sprint finish. A long top tube, slack head tube angle and a wide bar paired with short stem and chainstays is our recipe for making big wheels roll fast and turn easily. 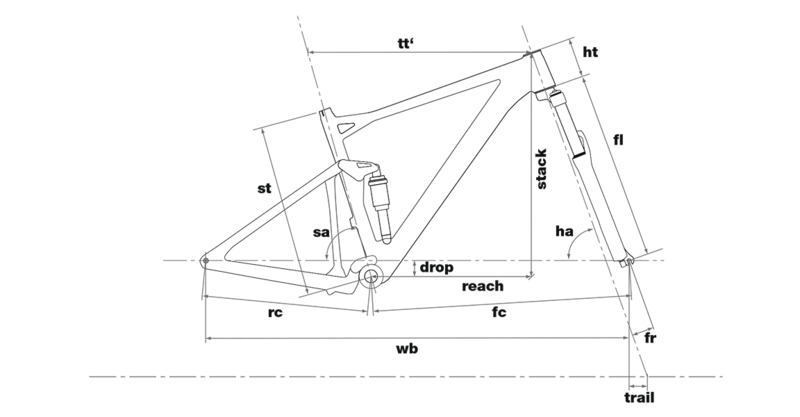 The entire Fourstroke family is built around this super progressive approach to bike geometry. Chasing the podiums of World Cup races is all about maximizing technical advantages. A frame that weighs merely 2.5 kilos is a fantastic place to start. Advancements in carbon technology combined with the skill of our Impec Lab’s engineers resulted in an industry and race-leading machine for XC and Marathon mountain bike racing. 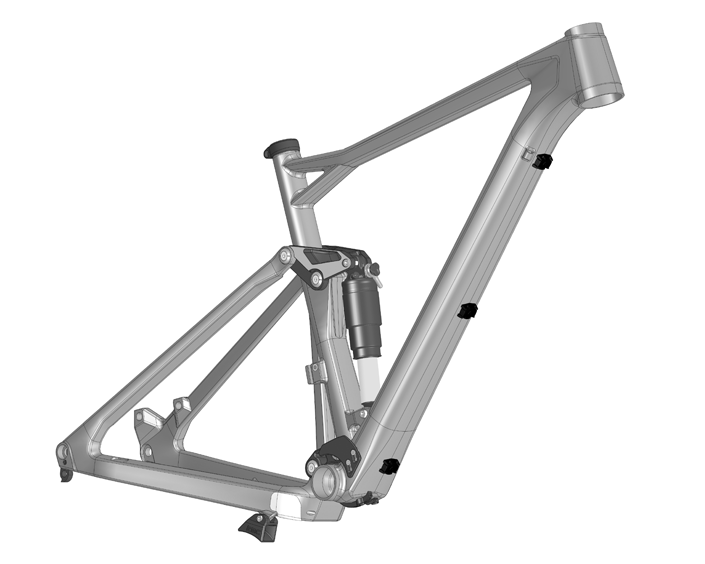 Our Advanced Pivot System (APS) for the Fourstroke family focuses on efficiency and reducing rider fatigue. 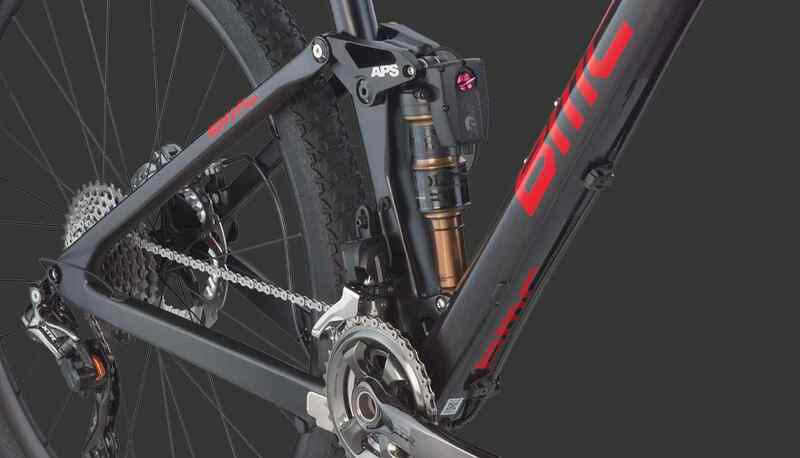 APS’s high tech design promotes extreme pedaling efficiency. How extreme? World Champion extreme. Thanks to the efficiency of APS, the Fourstroke is one of the only full-suspension bikes in the world to have won the XCO World Championships.